Wondering how to homeschool science? 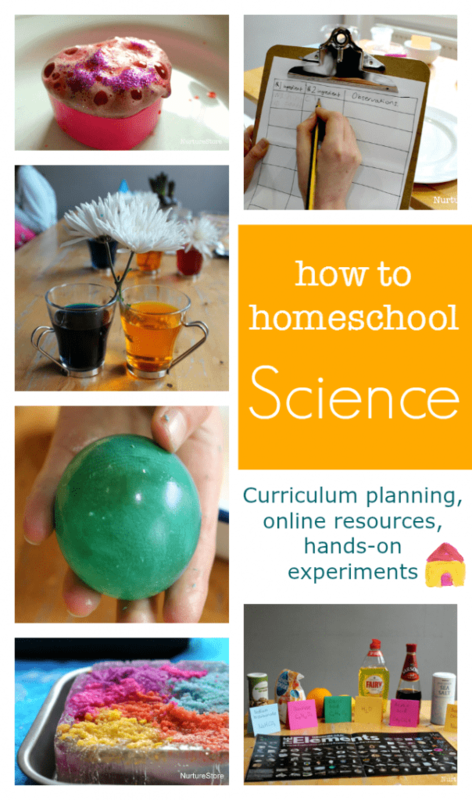 This resource will help you plan your homeschool science curriculum and is packed full of useful links to online science resources for children, and a fun collection of hands-on science experiments you can try at home. As homeschoolers we have huge advantages when it comes to teaching science. :: We can easily adopt a cross-curricular approach, combining science, math, literacy, art, and play into one rich education experience. Research has shown that a whole brain, STEAM approach (that’s one that includes Science, Technology, Engineering and Math with that all important A for Arts) is hugely beneficial to learning, and our homeschool environment gives us the flexibility to use this to the max. In the earlier years, before children are focused on working to specific science exams (see below for some links to resources for GSCE science), we are able to give them the benefits of exploring science through hands-on, enquiry-based, playful learning. 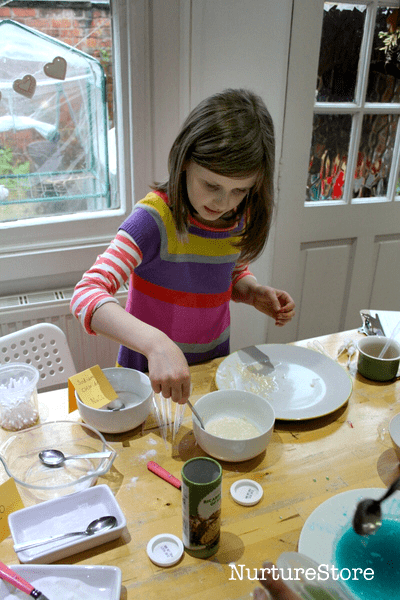 You might design a programme of science based around a topic that your child is interested in – such as the weather, cooking, or LEGO engineering. See below for ideas on how to mind map your curriculum. You might take your child’s question as a spring board into science. How does a plant grow? Why is a snail so slimy? How does a light work? What is the moon? You might use your everyday life to bring out science learning naturally – cooking, gardening, doing home DIY building projects. Whichever approach you take, we like to incorporate four key aspects to our homeschool science. We make it child-centred. What would they like to do? How do they learn best? What is it that they are fascinated by: Minecraft, make-up, and baking have all been springboards into robust scientific learning for my kids. We make it hands-on. We think about how we can design the science projects so that the children can do as much of it themselves as possible, using real experiments. We link academic learning to their interests. Using our own knowledge and experience, and some online research, we mentor our children to ask why things happen. And we scaffold them, building them up with questions, chat, and additional resources that will help them to explore their interests further. So we might help them find a science information book in the library, we might point them in the direction of a TED-Ed video on the subject they’re interested in, or might help them research on Pinterest to find a few other experiments that will stretch them deeper into learning about their subject. We use mind maps a lot as part of our homeschool planning. We find them such a useful, visual way to organise ourselves. 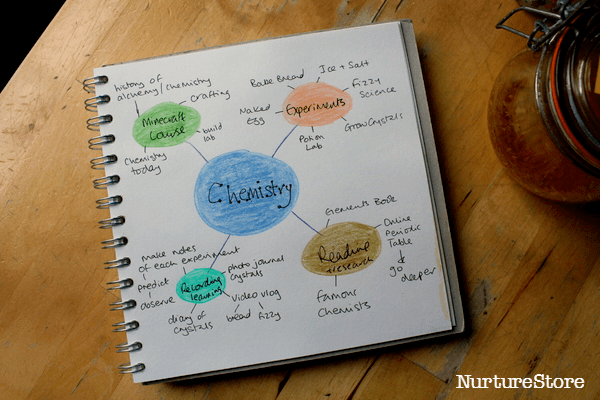 You can read more about how we use mind maps for homeschool here, but just as an example of how we build a unit around a child’s interests, here’s our map for my daughter’s chemistry project. The subject goes in the centre. Around that we build branches to note down some of the experiments she wants to try. We brainstorm what she wants to learn or try out on the subject. Some of the ideas come from her, things she already knows about and wants to try. Some come from looking together on Pinterest (which we find to be a great, visual search engine). Some come from me looking at other resources that are available, and doing a cross-check to what children would be learning in school. And some come from a topic search on Amazon to see what books are available that look interesting to us. 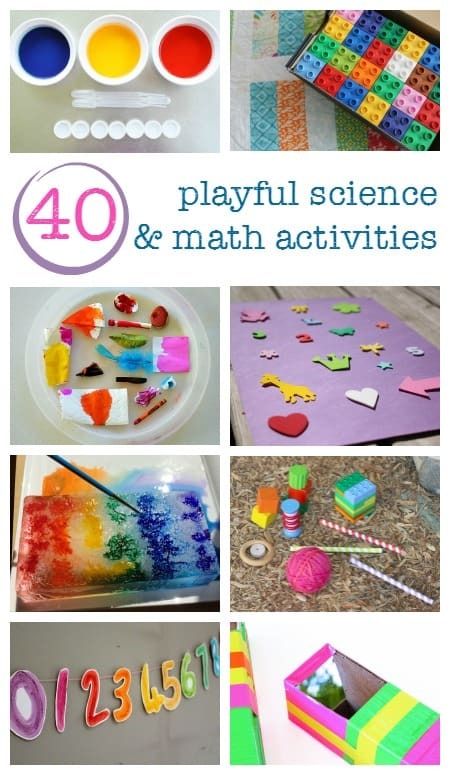 From the NurtureStore archive, here’s a collection of fun, educational, hands-on science projects that are really easy to do at home. NurtureStore’s archive of science activities for homeschool – I’ve listed some of our favourites in the section above this one. 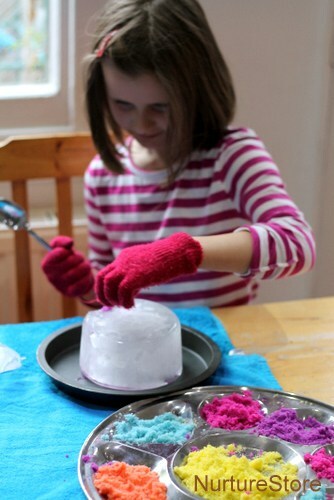 Tinkerlab – Rachelle’s site has a range of hands-on science experiments, especially for kids who like to make and tinker. My science boards on Pinterest – where I collate ideas for Kids Science and STEM activities STEAM which is full of ideas that are whole-brain, and cross-curricular, incorporating the arts into science. If you follow both boards I’ll keep you supplied with great ideas. The Garden Classroom – my book which shows you how you can easily use your back garden as a space to learn science, math, literacy and more. Fizz, Pop, Bang! 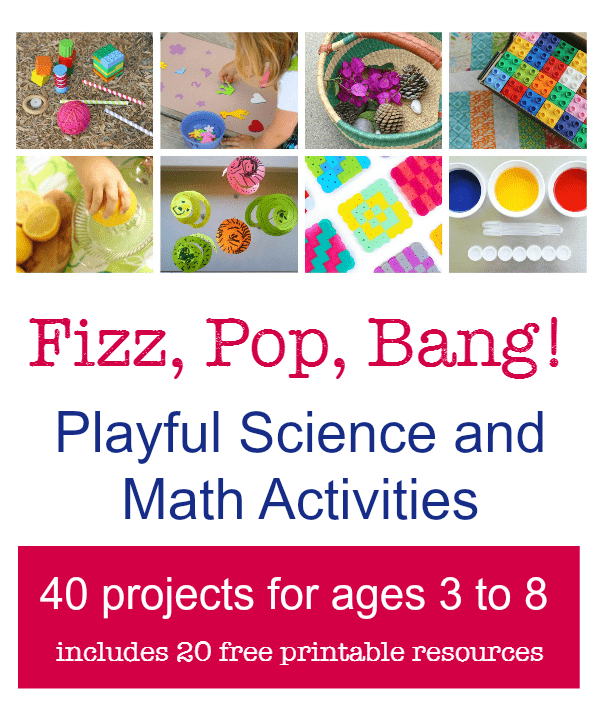 Playful Science and Math Activities – my ebook which is such a useful resource, with 40 projects that are all aboutfun, hands-on, play based learning in science and math. You can even get this as part of our Premium Bundles. 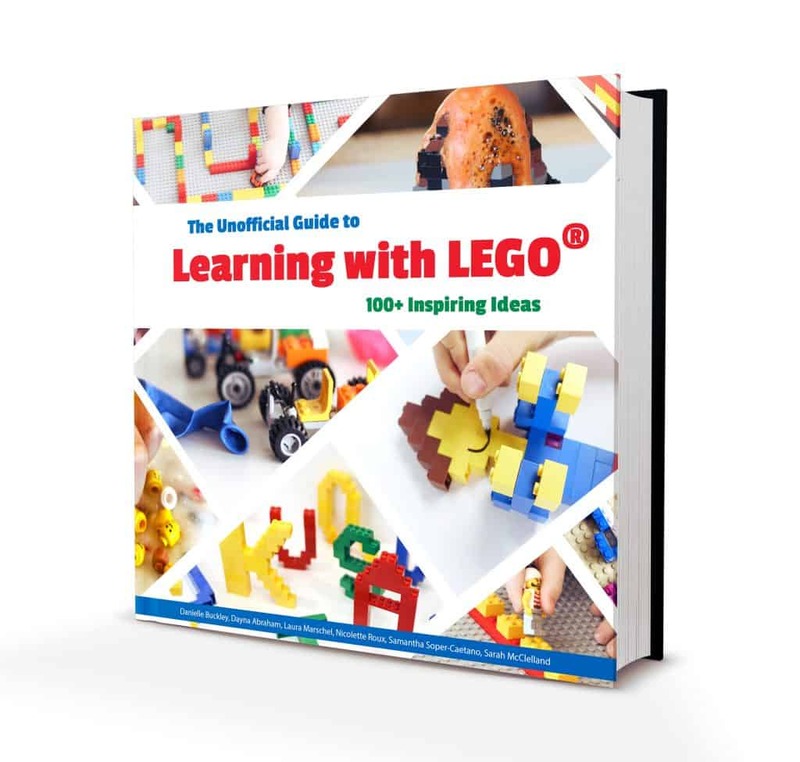 The Unofficial Guide to Learning with LEGO® is packed with ideas that take your child’s favourite bricks and use them as the starting point for challenges, projects and learning through science including biology, geography, physics and engineering, plus math, literacy, art and sensory play. For older UK children working towards I/GSCE science exams, the Home Ed Exams Wiki is a great place to start, along with the Home Ed Links UK for IGCSE/GCSE group on Facebook. And if you’re in the UK the annual Big Bang Science Fair is free to attend and a huge showcase of all kids of science careers. Download your Fizz, Pop, Bang! resource here. How do you homeschool science? Do you have a great online science resource to share? Is there another ‘how to homeschool…’ topic you’d like me to cover? Join in the conversation in the comments and let me know. How can you use LEGO® to teach math, spelling, science and art? The Unofficial Guide to LEarning with LEGO® has over 100 LEGO® activities for kids will show you how, with ideas for using LEGO® bricks for learning right across the curriculum. Awesome post- with lots of great links thank-you!